Singapore famous film director, Jack Neo had come out with his upcoming film "Long Long Time Ago" to commemorate Singapore's 50th birthday which star actress Aileen Tan, actor-hosts Mark Lee and Wang Lei. Me and my hubby were invited for the movie preview at e-Curve before it start screening at Malaysia on 31st March 2016. 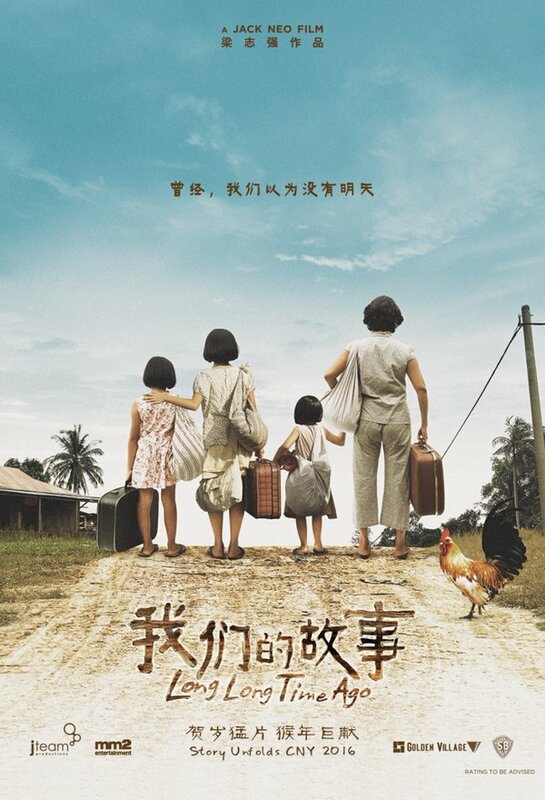 This is a story of trials and tribulations of a family during the early years of Singapore's independence i.e. during 1965. Aileen Tan who played as Zhao Di and her three daughters were forced to leave the household by her husband's first wife after he passed away. Heavily pregnant with no one to turn to, she made a unwelcome return to her parents home in the Kampung. 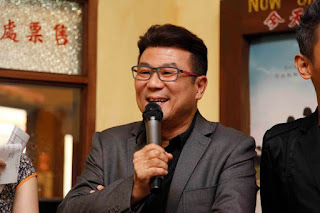 Jack Neo with his team of Actors and Actresses for the movie "Long Long Time Ago"
After giving birth to a pair of twins, Zhao Di is pressured to give away her new born daughter who had two moles on her face coz' it was considered as bad luck and feared it will bring trouble to the family. Indeed a sad moment as 99% of Moms in the world would not want to give-away their child as it is born by us and had our blood flowing at their body. With the help of her good friend, Osman (Suhaimi Yusof), she began selling soya bean on a makeshift cart to support her children and contribute to the household. Life haven't been easy for her as she had to faced gangs roamed the village streets, the police who catch illegal hawkers and the racial tensions threaten to boil over in Singapore. Mark Lee's potrayal as Ah Kun i.e. Zhao Di's obnoxious and foul-mouthed brother is infuriating yet fun to watch. Being the first son, he is the self-deserving brother who thinks of himself as the alpha male in the family. Despite Zhao Di helping him out every time he gets into trouble, Ah Kun is not the least grateful to his sister. I really admire how Zhao Di who had met with one misfortune after another but her tenacity and perseverance pulled her through all of life's odds against her. It is indeed a great motivation for us not to give-up our life no matter how hard we had gone through as someone else might had a harder life than we do. Just keep going and I'm sure a better life will awaits all of us later as long as we work hard enough to achieve it. 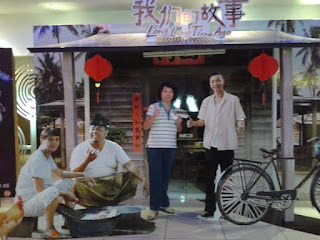 Fish, I love to watch Jack Neo's movie coz' it is funny and bring some meaning of life. Interesting story line. I wish to watch it too. Kakalina, book 31.3.16 for the movie on screen. It's been awhile didnt watch Jack Neo's movie. I still remember "I Not Stupid" is my favourite movie by this awesome director! Wish to watch this movie! The story line is interesting! I was suppose to go for this movie screening but last minute got relatives came to my house for CNY so not able to go. Miera, hope you enjoy the movie. Looks like a great movie to catch and I probably will go and watch it. Thanks for sharing the review. Nur, agreed with you as it reflects our life. Jack Neo's movie is always nice. Wanna watch it soon! Charmaine, Jack Neo never disappoint us. Enjoy. Awesome cast line up with Mark Lee in it. And of course, Jack Neo's productions will always have us laughing in stitches! Missy, agreed with you. Laugh and even cry. Sara, hope u enjoy it. Sienny, agreed with you. Great movie line. Shivarani, enjoy the movie with your hubby ya. after read the synopsis, i can say this is a must watch movie. should go and watch it soon. Alyza, hope you enjoy it too. Ivy, he brings the laughter to the movie.